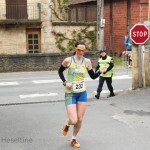 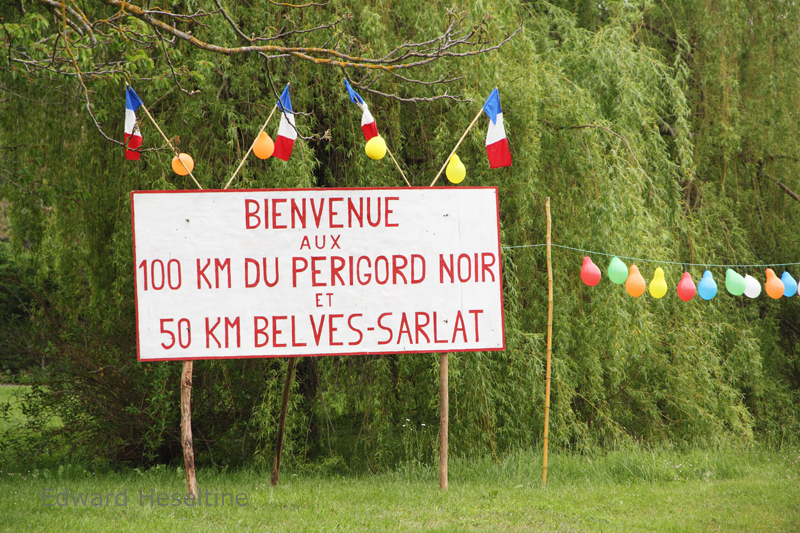 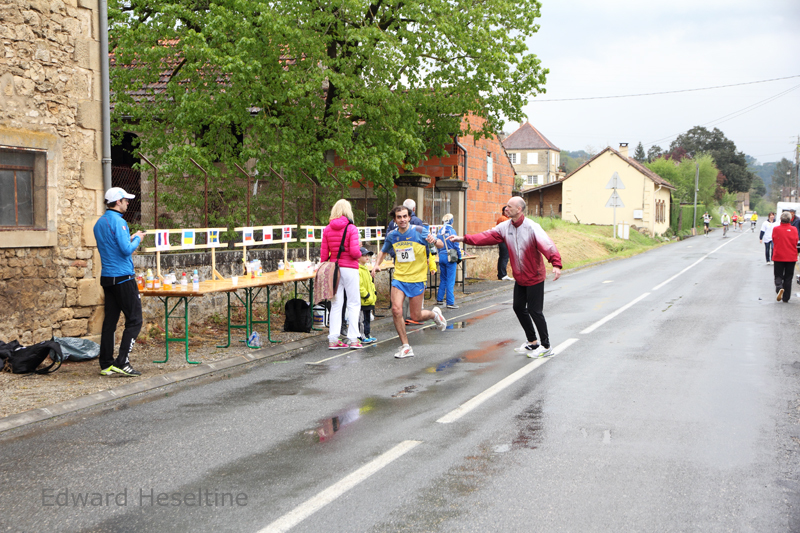 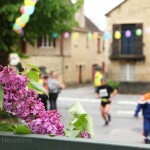 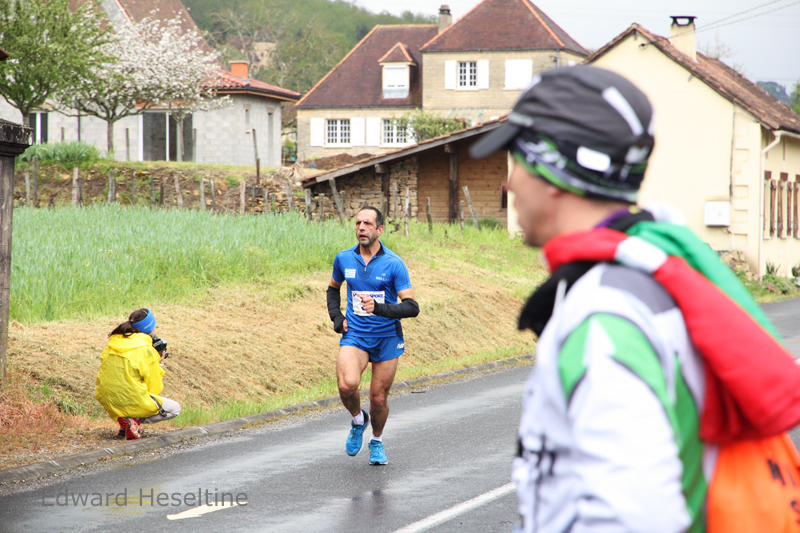 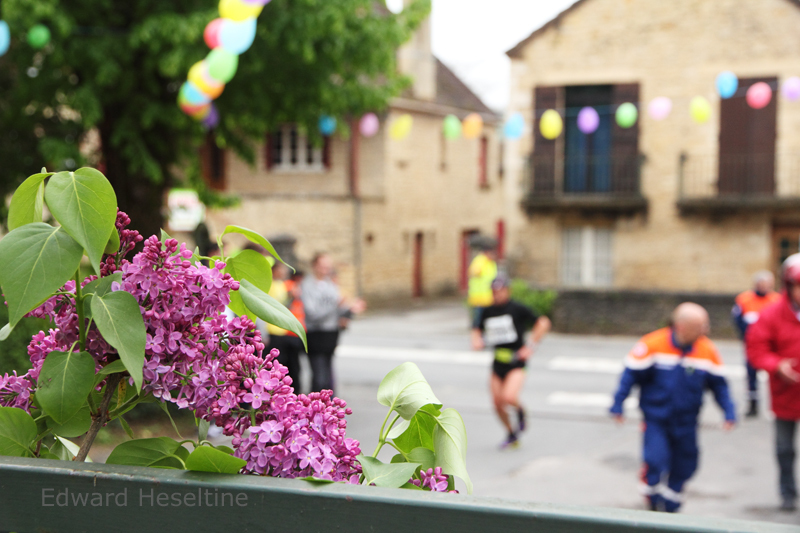 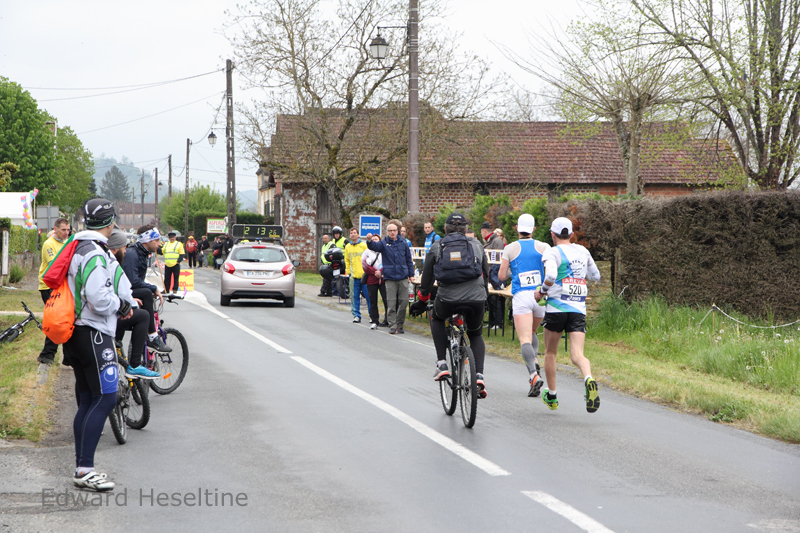 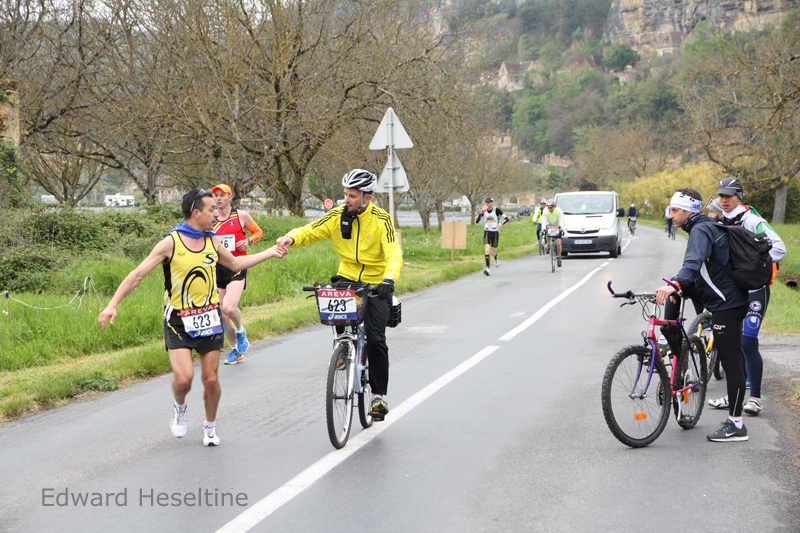 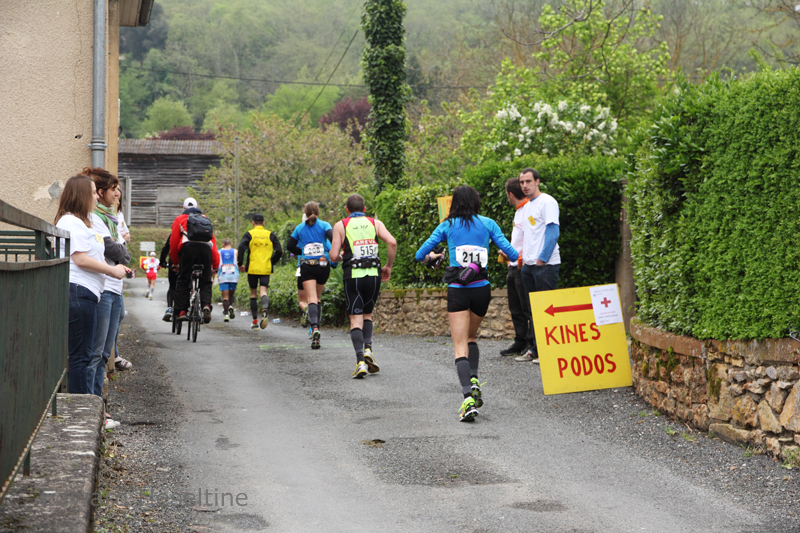 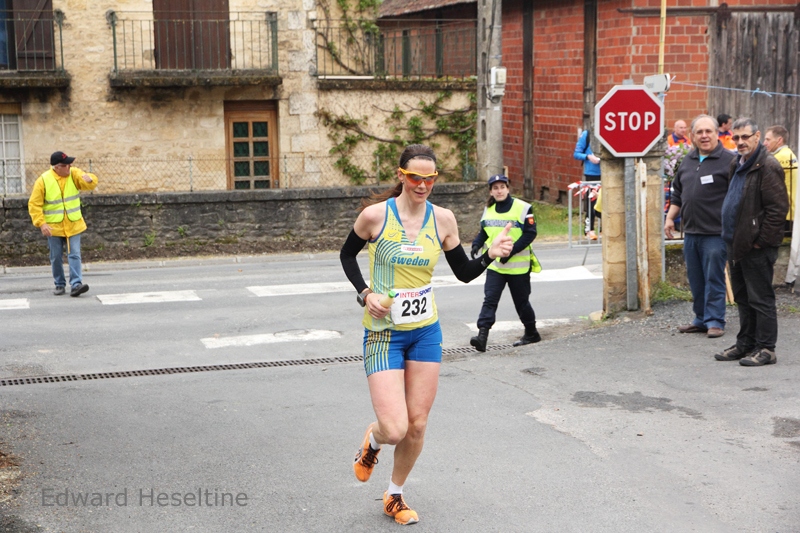 Last weekend, hundreds of long distance runners hit the road for the 2013 edition of the 100 km de Belvès in Périgord Noir. 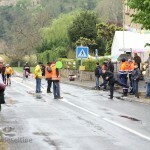 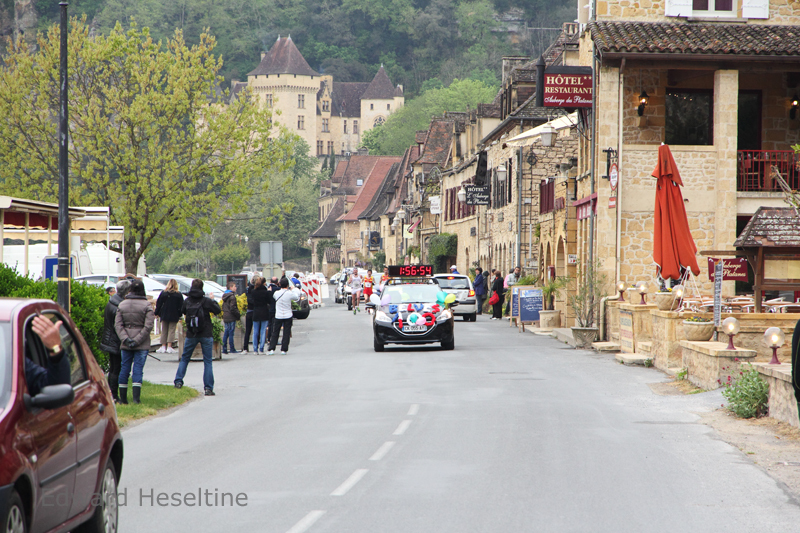 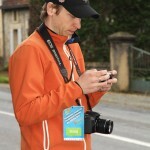 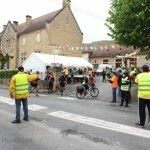 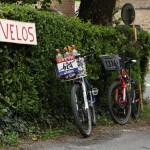 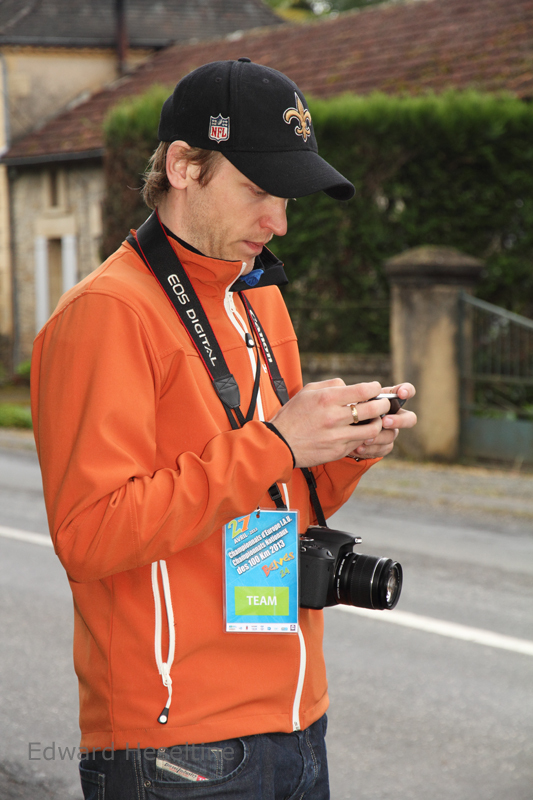 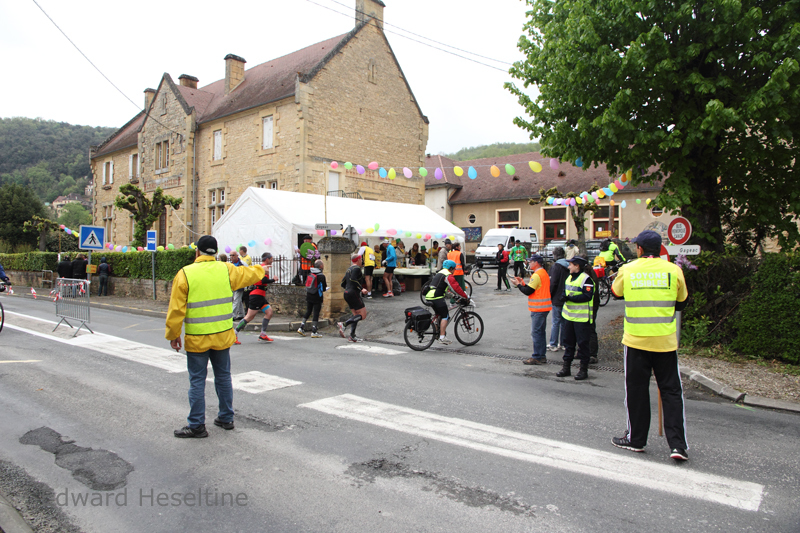 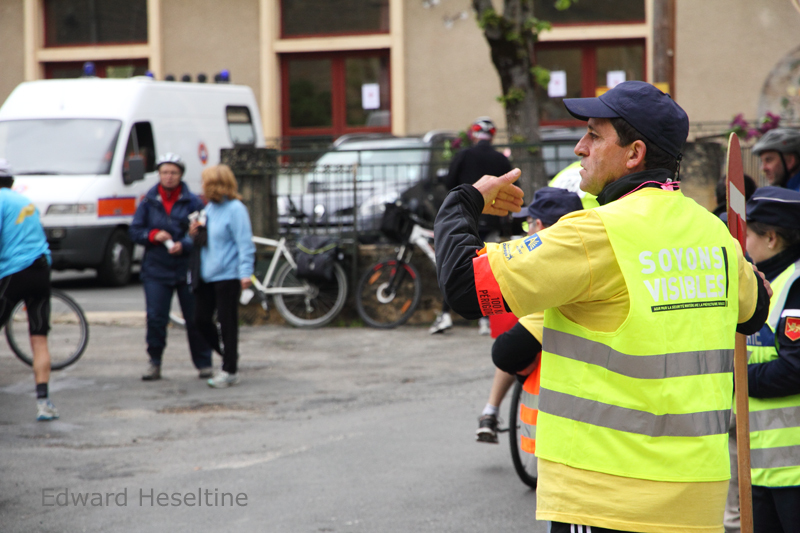 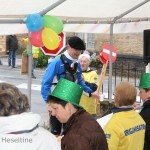 As a member of the team running the feed station at La Roque Gageac, I took my camera along to record the fun and exciting atmosphere. 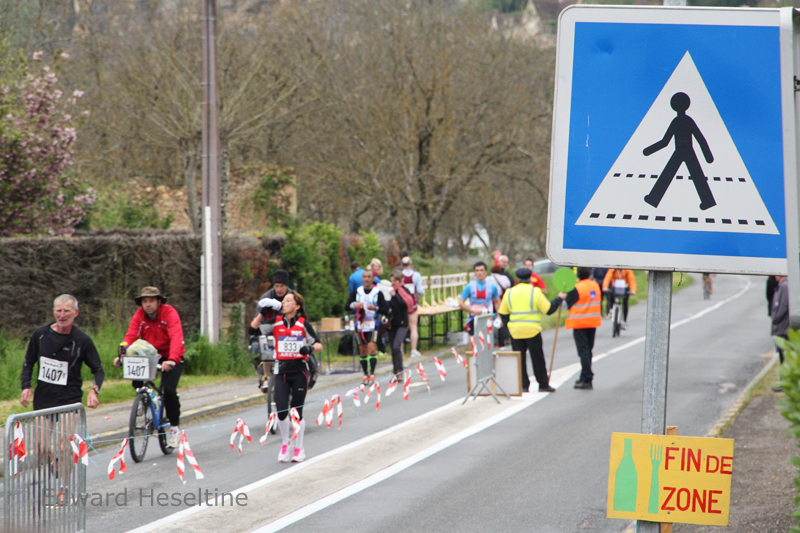 The 100 km de Belvès is a foot race open to anyone who wants to test themselves around a course of either 50 or 100 km. 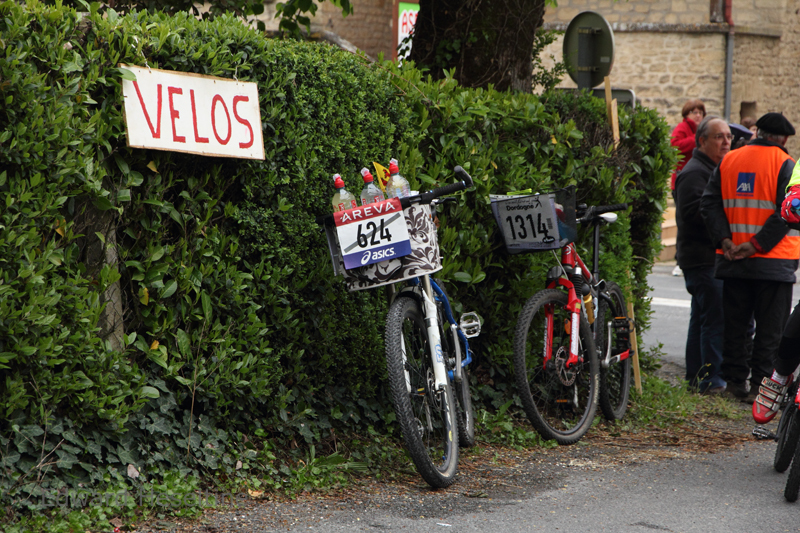 The only requirement for entry is to be medically certified as fit enough to survive such an ordeal (perhaps sufficiently mentally deranged as well). 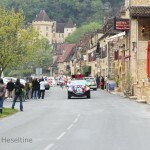 It departs early in the morning from Belvès and winds its way through the stunning Périgord Noir countryside before looping back to Belvès for the finish line. 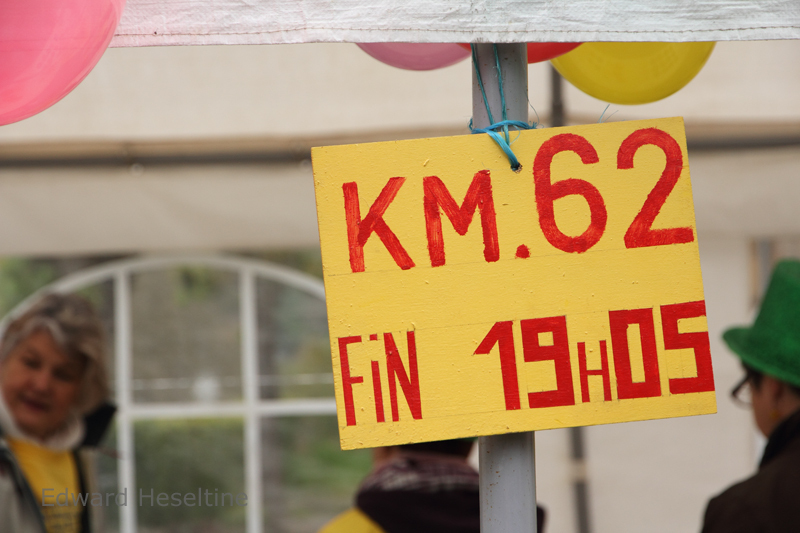 To put things in perspective, a marathon is 42.2 km long, so even the 50 km course is a big ask. 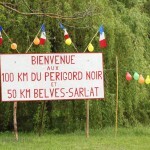 The 100 km route is approximately two and a half times as long as a marathon and I can assure you that the Périgord is a long way from being flat. 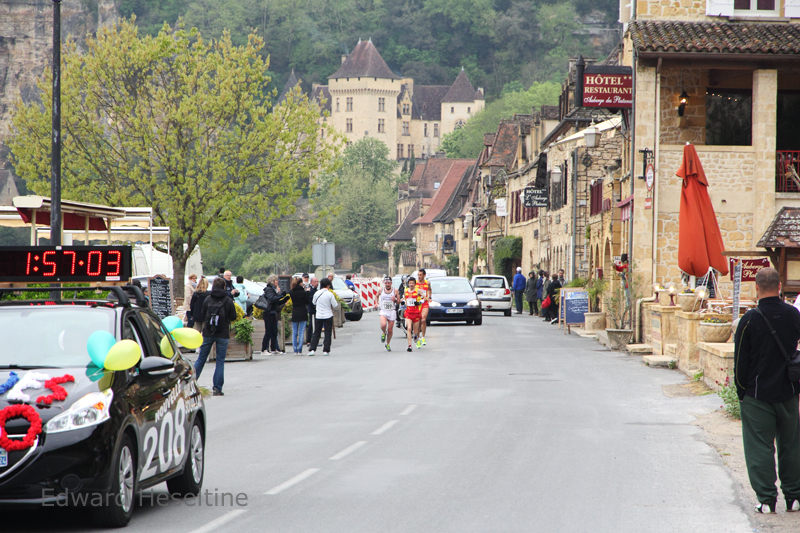 Finally, Belvès is situated on top of a fairly sizeable hill so the last 4 km of the race to the finish are spent running uphill. 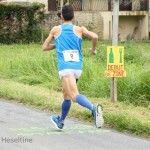 This race is not easy! 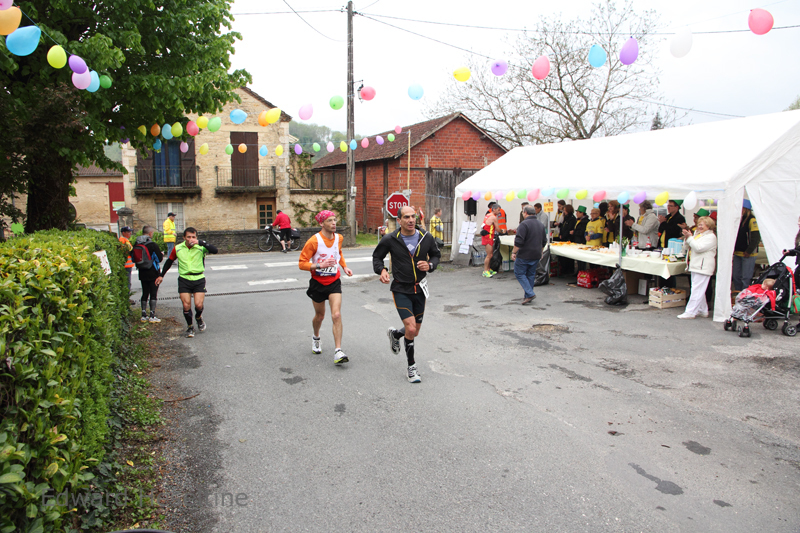 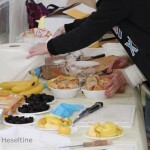 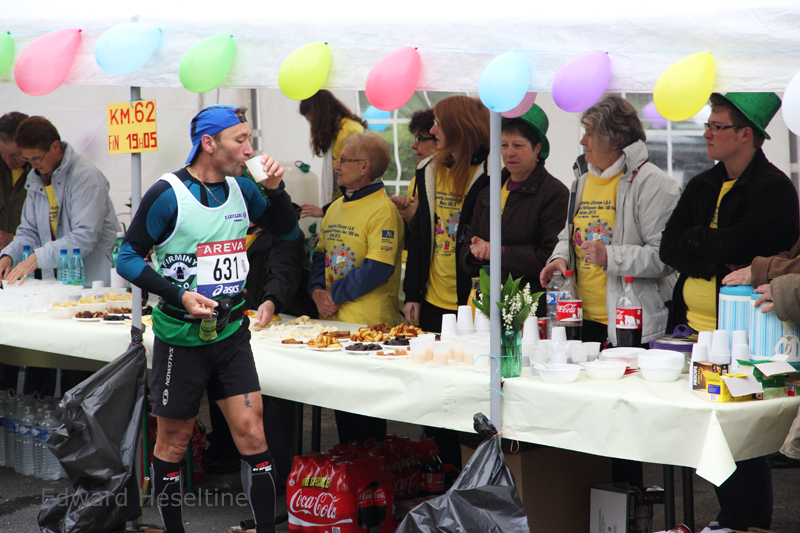 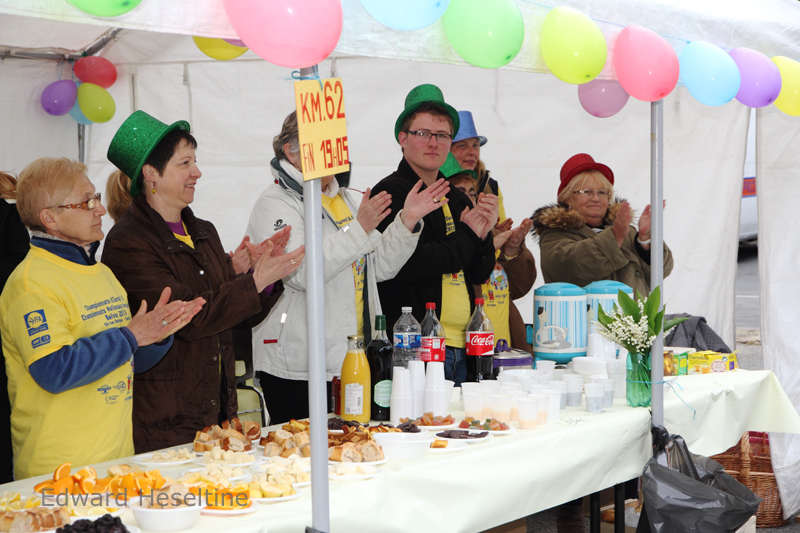 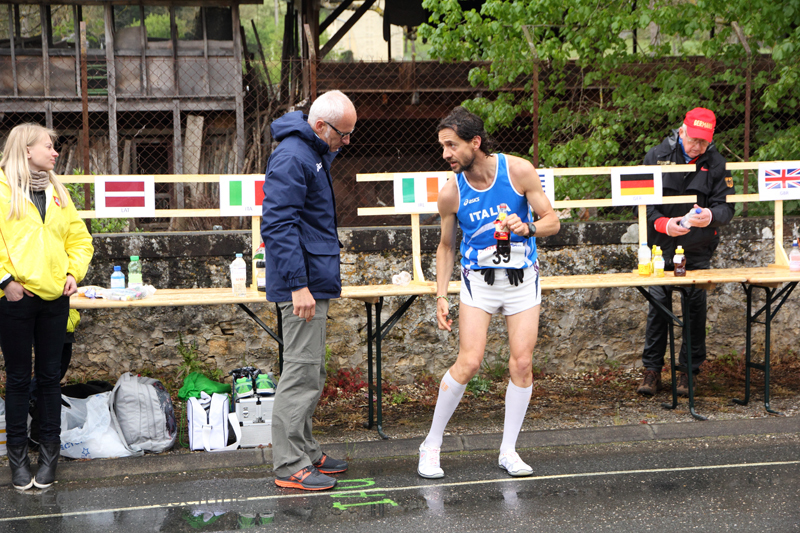 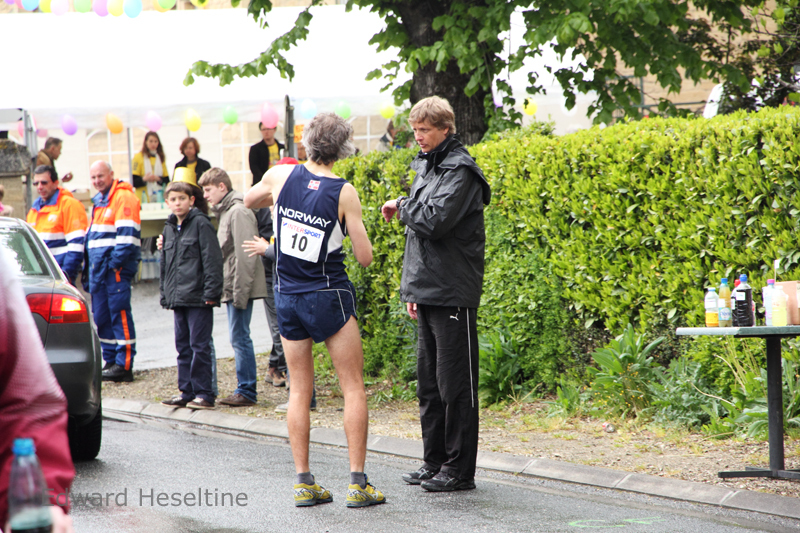 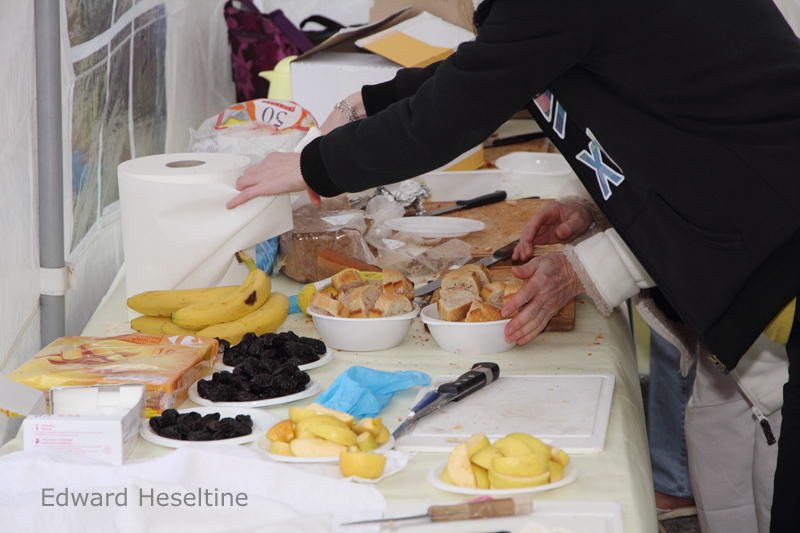 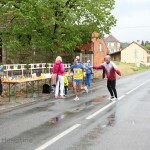 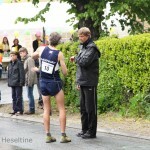 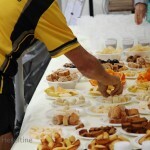 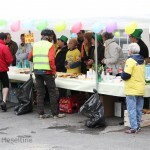 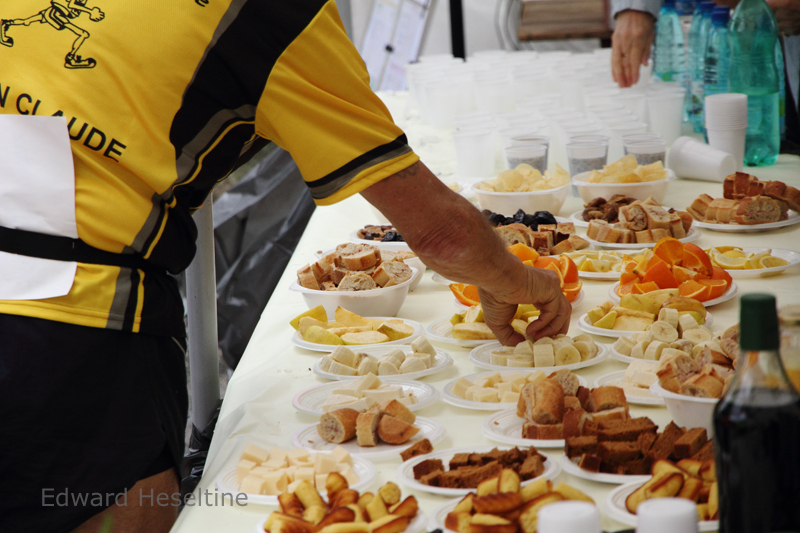 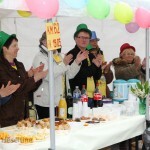 The feed station at La Roque Gageac is visited twice by runners completing the 100 km route. 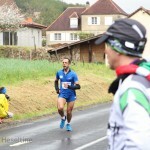 Once at 32 km and again at 62 km. 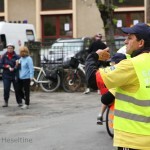 Our mission was to provide nutritional and moral support to the participants on foot and their assistants following them around by bicycle. 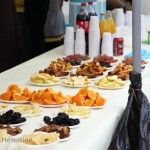 Lots of high calorie snacks and drinks, decorations, loud music and applause was the order of the day. 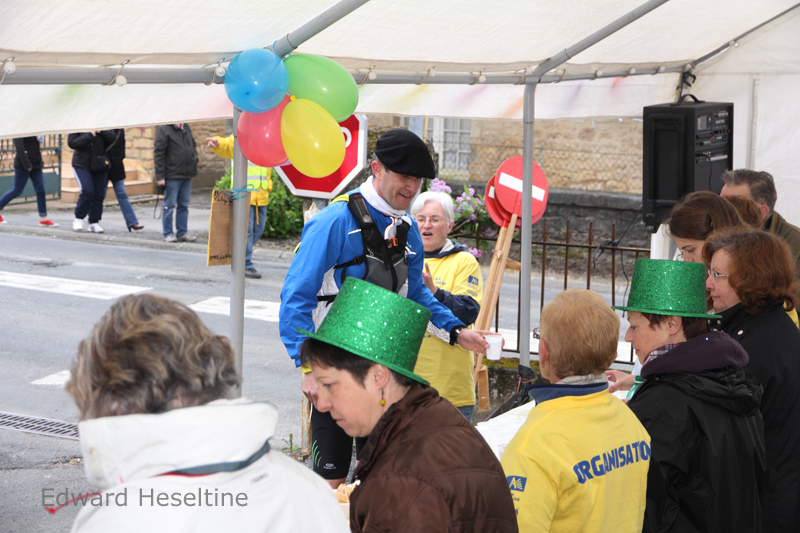 It certainly seemed to work, as many hanging heads were lifted by our encouragement, a table full of tasty morsels and a good excuse to take a quick breather. 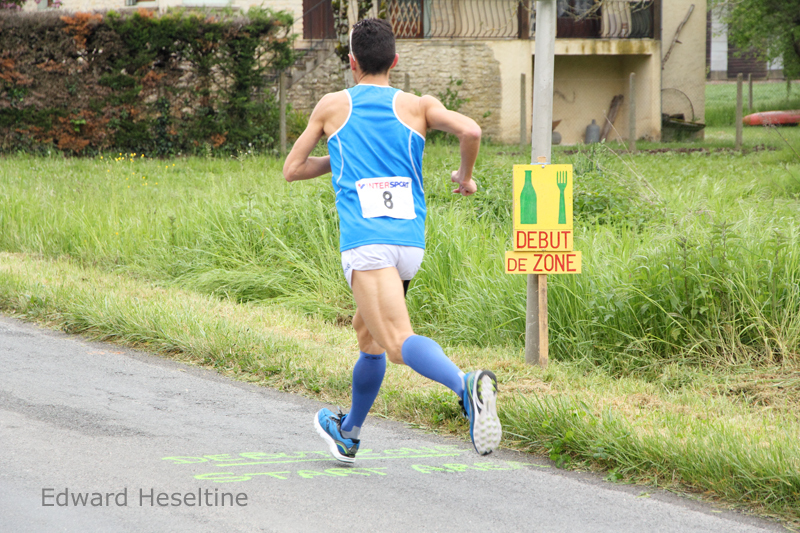 Although the race is open to all, this year’s event was also included on the European championship calendar. 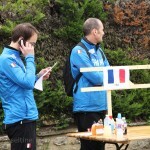 There were therefore a few national teams taking part. 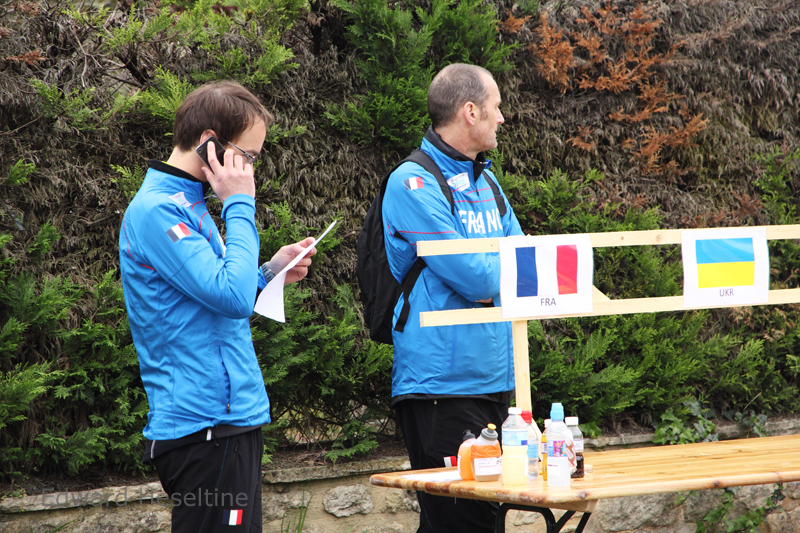 Running exactly the same course under the same rules as everybody else, the only difference for the professionals was a separate feed station staffed by the national coaches. 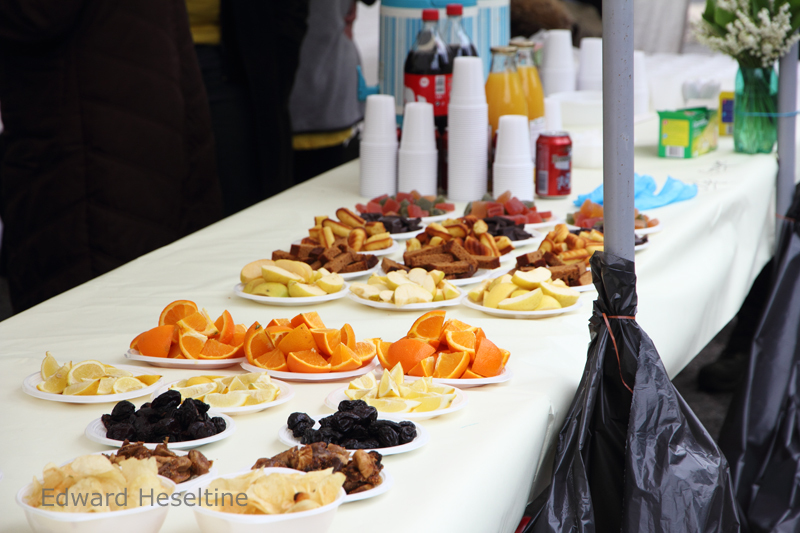 The coaches were responsible for ensuring that their runners had their preferred drinks and snacks handed to them as they came through so as not to lose any time. 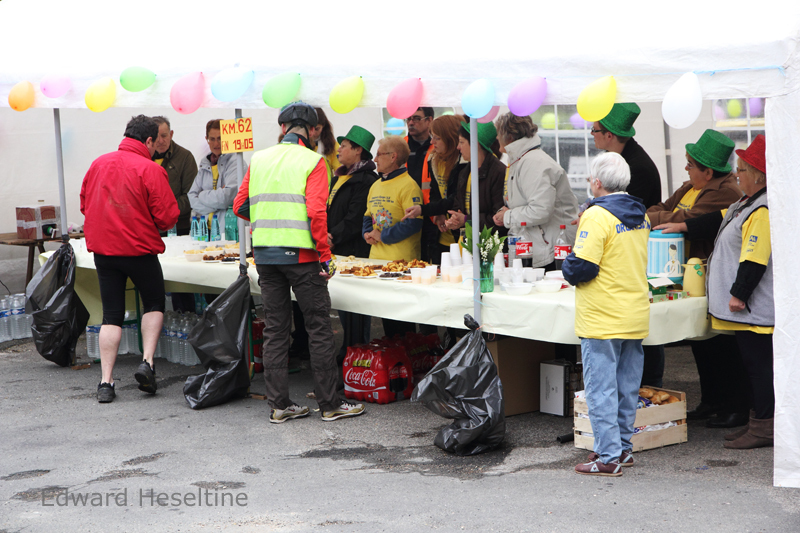 There was no snobbery on their part however and many came over to chat, shared news of the race’s progress and encouraged all participants. 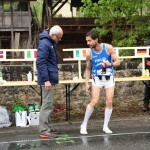 For the record, the winner (a professional athlete from Spain) completed the 100 km in 6 hours, 53 minutes and 14 seconds. 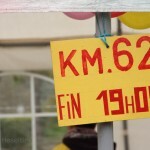 I still have a hard time believing it myself. 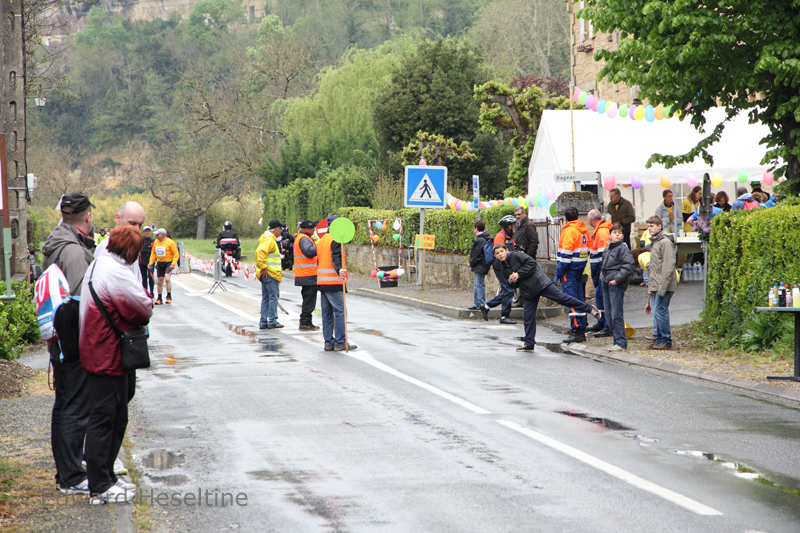 You can read more about the event and the results here.